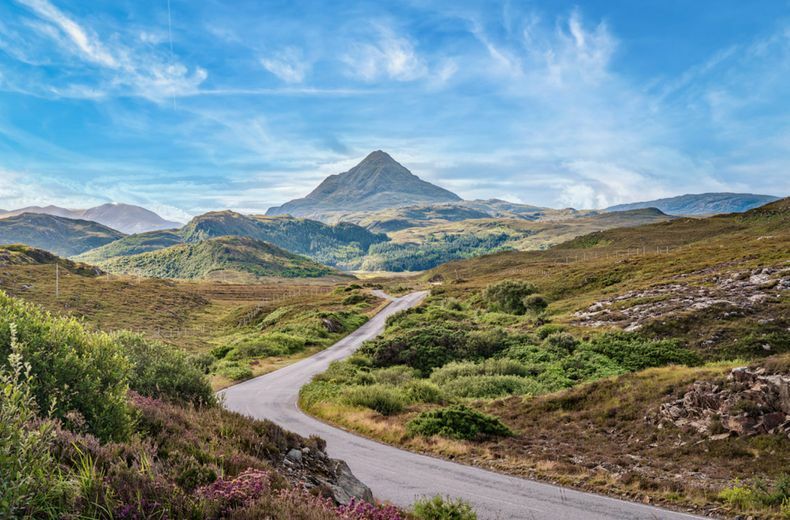 From rugged mountains to picturesque beaches, the UK has an endless supply of stunning scenery that’s just calling out to be explored on a road trip. Before setting off, always make sure your car is ready for the journey: carry out essential checks and ensure you have the right breakdown cover and insurance in place. Is there anywhere more quintessentially English than the Cotswolds? Miles and miles of lush countryside are scattered with perfectly-preserved villages and winding country lanes often marked out with iconic Cotswold stone walls. 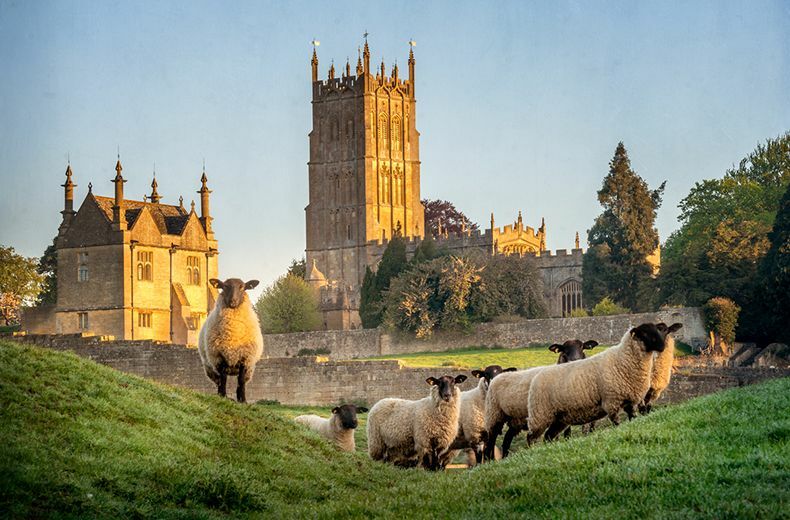 We recommend starting in Chipping Campden, towards the north of the Cotswolds, and then simply heading south, hopping from pretty village to pretty village as you take in quaint pubs, medieval churches and all manner of local curiosities on your way to Bath at the southern tip. As well as having one of the UK’s prettiest high streets, Broadway is also home to Broadway Tower, from the top of which you can see a staggering 16 counties. Top tip: The Cotswolds plays host to a number of diverse festivals every year, so check ahead and try and coincide your trip according to whichever floats your boat, from beer and cider festivals to country shows. Distance and ideal duration: 70 miles, 3-4 days. Did you know? The stunning Blenheim Palace, birthplace of Sir Winston Churchill, was apparently earmarked by Nazi leader Adolf Hitler to become his home after invading Britain. Take in England’s eastern coastline with a drive around tranquil Norfolk. After soaking up the provincial buzz of Norwich (the 11th century cathedral is a must-see), head east into The Broads. With its scenic waterways and rich variety of wildlife, the Broads is popular with holidaymakers and well worth an extra few days lazing around on a boat. From there, take the coastal roads north towards Cromer, a traditional seaside resort and home to the UK’s only remaining end-of-the-pier variety show. Further along the coast, wide, windswept beaches like Brancaster Beach are perfect for an afternoon relaxing by the sea. 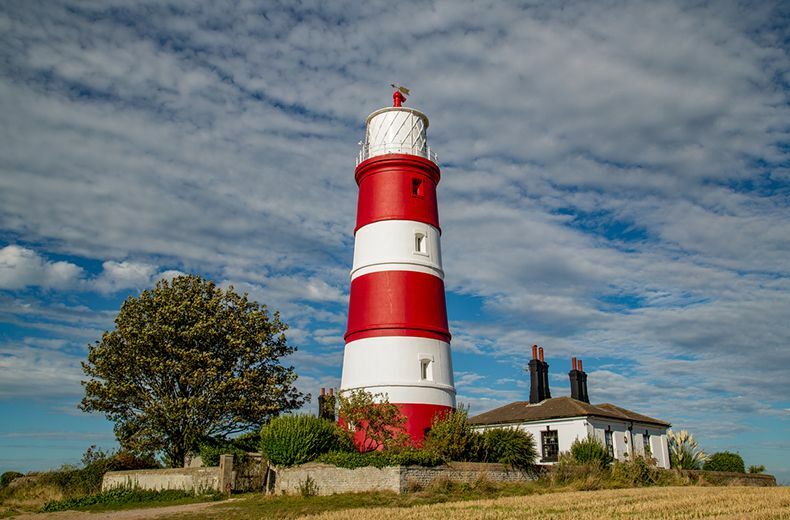 There are few sights more Instagram-ready than Norfolk’s red and white Happisburgh Lighthouse, so make sure you make the detour. Top tip: Resort towns on the Norfolk coast like Cromer and Great Yarmouth can get busy in peak season, so plan your trip accordingly. Distance and ideal duration: 90 miles, 2-3 days. Did you know? Norfolk is home to around 120 round tower churches, most of which date back to the 11th century. These are thought to have been built for cultural reasons due to strong trading links with other North Sea communities. The A39 is one of the longest roads in South West England, connecting Bath to Falmouth. While you can drive the entire road, we’re focusing on a particularly picturesque stretch between Barnstaple in Devon and the popular Cornish seaside resort of Newquay. 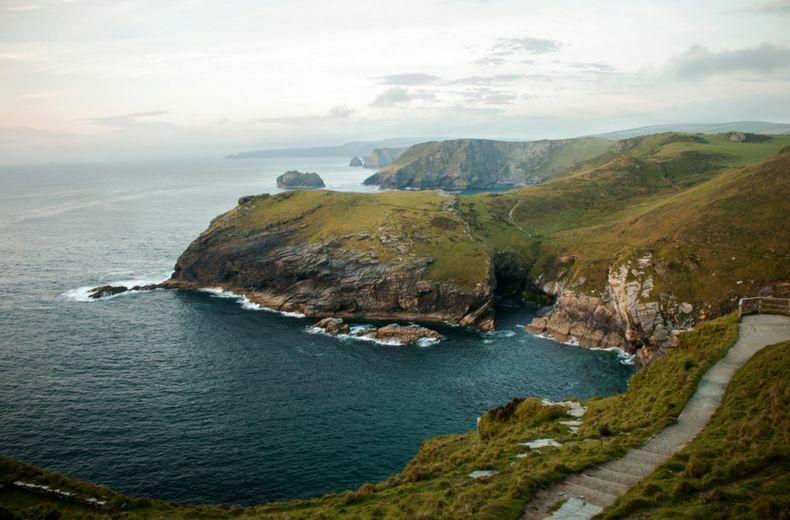 While the road itself doesn’t get that close to the coast, you’ll be able to take in plenty of breathtaking views of the Atlantic as you pass through Bude, Camelford and Wadebridge. Enjoy a cream tea in Bideford, discover the legend of King Arthur at Tintagel Castle and picnic on Bedruthan Steps Beach, a dramatic stretch of coastline where colossal stacks rise from the waves. Top tip: Traffic on the A39 can be slow-moving at busy times, so it’s best avoided in peak holiday season and on bank holidays. Distance and ideal duration: 77 miles, 1-2 days. Did you know? A Devon cream tea is cream first then jam, while a Cornish cream tea is jam first then cream. Dive into Wordsworth country with an adventure along some of England’s most picturesque roads. 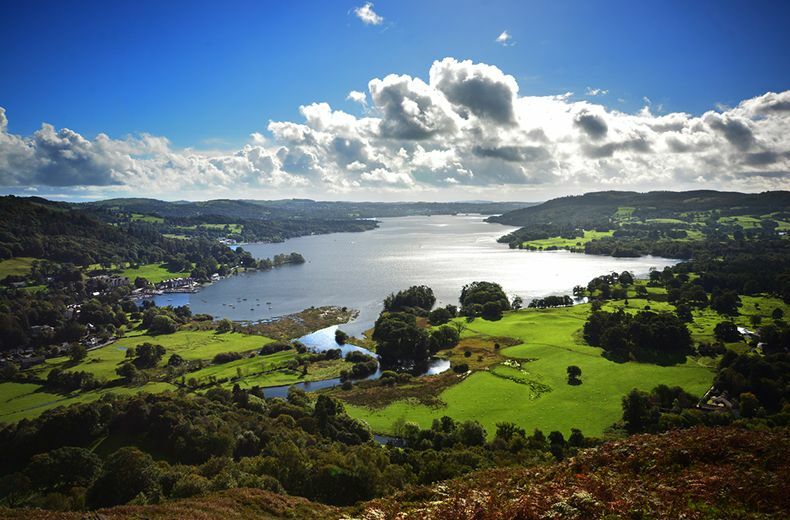 Starting in Kendal, head north into the Lake District National Park towards Windermere, England’s largest lake and a picture-postcard resort that attracts all sorts of visitors who use the town as a base to explore the Lakes. If you want to learn even more about the UK’s greatest writers, a short detour will take you to Beatrix Potter’s Farm in Near Sawry, the inspiration for Peter Rabbit, Jemima Puddle-Duck and others. Top tip: If you’re planning on trekking up any mountains on the way, make sure you pick up a few Kendal Mint Cakes, an energy-boosting favourite among local hikers. Distance and ideal duration: 30 miles, 2-3 days. Did you know? As well as being home to England’s highest peak, Scafell Pike, the Lake District is also where you’ll find the country’s deepest lake: Wastwater, which is over 74m deep. Explore some of the UK’s most breathtaking scenery with a drive through Snowdonia National Park and out across the Menai Strait to Anglesey. Start at Betws-y-Coed and head west past Swallow Falls into the heart of Snowdonia. The A4086 will take you past Snowdon itself, but you may want to stop off and explore the mountain yourself. Outside the park, take the scenic route on your way across the Strait by swinging through historic Caernarfon first, before heading over the water to explore the beautiful Isle of Anglesey. On the shores of the Menai Strait, Caernarfon is one of North Wales’ smartest towns, and with its stylish waterfront and spectacular castle (a UNESCO World Heritage Site), it’s not to be missed. Top tip: Welsh is widely-spoken across Gwynedd and Anglesey, so impress the locals and take a phrasebook with you, or learn a few choice words before setting off. Distance and ideal duration: 50 miles, 1-2 days. Did you know? 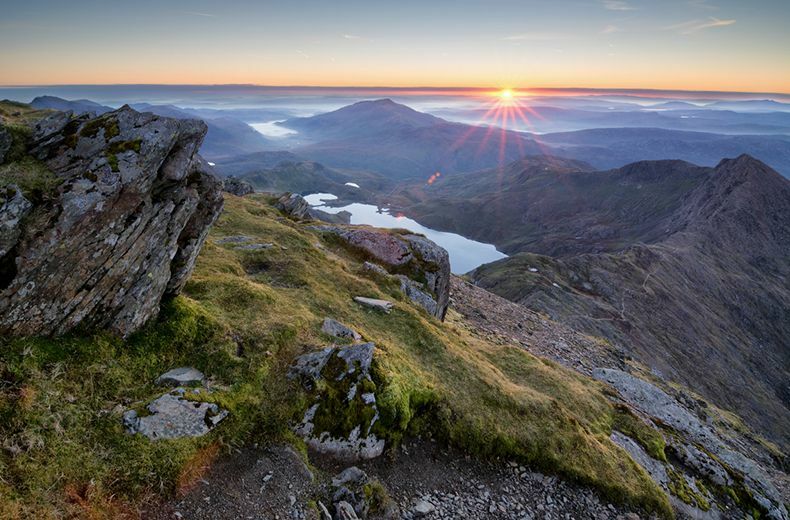 If you don’t fancy hiking all the way to the top of Snowdon, why not take a train? The Snowdon Mountain Railway runs to the summit and offers spectacular views. 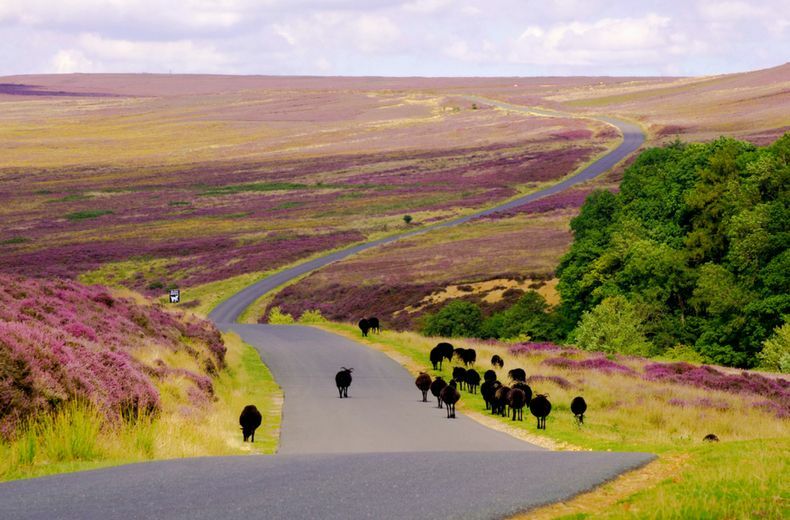 With dense forests, meandering streams and vast swathes of heather moorland, the North York Moors National Park makes for a spectacular road trip. Although the journey from the market town of Helmsley to the seaside village of Staithes is short and sweet, you can stretch it out over a couple of days if you fancy an overnight stay in a village B&B. Pass moss-covered drystone walls and grazing sheep as you take the A170 towards Pickering and Thornton-le-Dale. Then take the A169 for a scenic journey up to the coast through Goathland and Grosmont. Dalby Forest is a great place to stretch your legs or go for a bike ride if you have yours with you. If you stop off in Goathland you can go in search of Mallyan Spout, the tallest waterfall in the moors. Top tip: Take a map with you as sat-navs might not be 100% reliable due to the rural nature of the North York Moors. Distance and ideal duration: 42 miles, 1-2 days. Did you know? Goathland has featured in many TV shows and films, having doubled for Aidensfield in Heartbeat and Hogsmeade Station in the Harry Potter movies. One of the best ways to see Wales is by driving coast to coast. 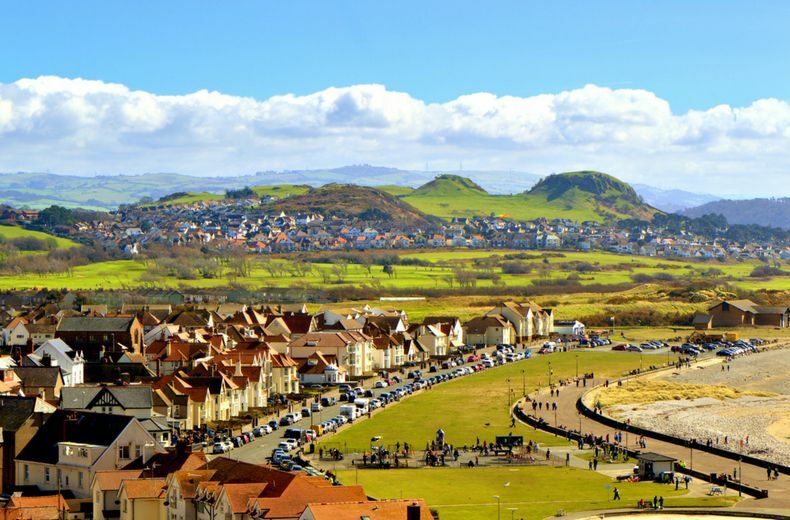 The A470 runs all the way from Cardiff in the south to Conwy in the north, taking in two national parks. Start in the Welsh capital, then head up through the South Wales Coalfield to the Brecon Beacons. As you reach the heartland of Wales, you’ll pass the gorgeous Llyn Clywedog reservoir and market town of Dolgellau, before heading over the majestic northern mountains of Snowdonia to Conwy. Wander along the canal in Brecon and enjoy a lazy lunch at a cosy pub in mountainous Betws-y-Coed. Top tip: Some parts of the road can be hazardous in bad weather so make sure to check your tyres and wiper blades before setting off. Distance and ideal duration: 186 miles, 4-5 days. Did you know? The exact mid-point of Wales is Llanidloes, the first town on the River Severn. 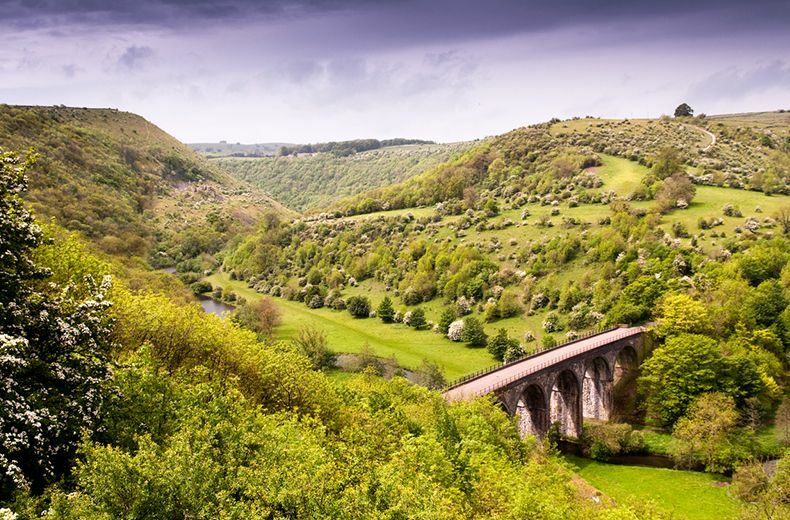 Next up on our list of great UK road trips is this tour through one of this country’s most beloved national parks, the Peak District. Start in Glossop, east of Greater Manchester, and head into the Pennines along the famous Snake Pass, one of the UK’s great mountain passes, hitting a high point of 510m above sea level. From there, head further south towards the reservoirs around the popular Derwent Dam that offer great trekking opportunities. A short detour to the west will take you to the Blue John Cavern, an underground network of caves which offers guided tours – ideal if you feel like an alternative to hill walking on your way ever southwards. Where to start? There are plenty of great attractions in and around the Peak District, from Alton Towers theme park to the neo-Gothic Derwent Dam. Top tip: The weather in the Peak District can change pretty quickly and mountain roads are often closed off due to snowfall, so always check conditions before you set off. Distance and ideal duration: 40 miles, 1 day. Did you know? The Peak District was the UK’s first national park, established in 1951. Hugging the Atlantic coast, this jaw-dropping route from Belfast to Derry is steeped in myth and legend. The route is actually made up of nine scenic drives, so you can break it down into smaller journeys and take your time enjoying the sights. The drive takes you to several of Northern Ireland’s main tourist attractions and landmarks – the Giant’s Causeway itself, Carrick-a-Rede Rope Bridge, Dunluce Castle, Dark Hedges and the Glens of Antrim. 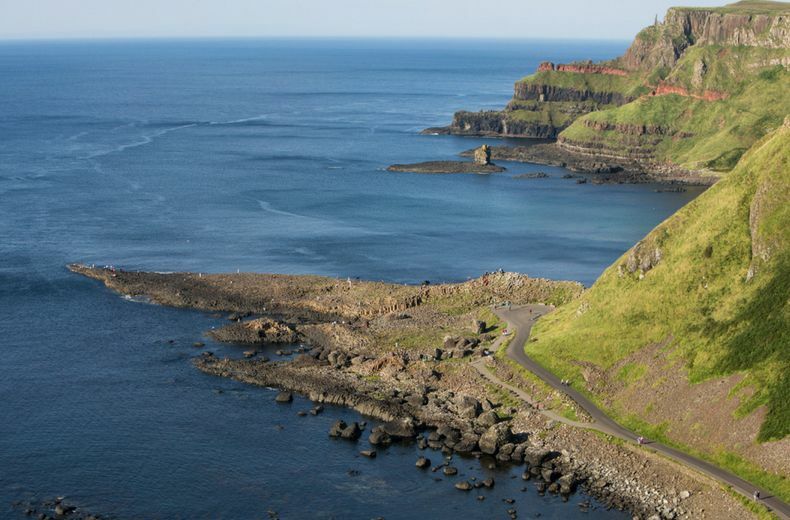 Walk along the dramatic Gobbins cliff path and go bird-spotting at the RSPB reserve on Rathlin Island, Northern Ireland’s only inhabited offshore island. Top tip: Some of the roads are quite narrow and winding in places, so watch your wing mirrors. Distance and ideal duration: 120 miles, 3-5 days. Did you know? Dark Hedges was featured in hit TV drama Game of Thrones as the Kingsroad. Scotland’s answer to Route 66 boasts some of the most spectacular scenery in the UK, if not the world. It showcases the best of the Highlands, with ancient castles, windswept beaches and historic landmarks lurking around every corner. The official route starts and ends at Inverness Castle and passes through idyllic towns and villages such as Ullapool, Durness, John O’Groats and Dornoch. It’s advisable to book your accommodation in advance as options are limited. Bask in the beauty of Achmelvich Bay, a stunning white sandy beach popular with hill walkers and water sports enthusiasts. Further north, spot dolphins and seals off the coast at Chanonry Point. Top tip: Although there are several petrol stations along the route, don’t underestimate how many miles you have to drive before you can fill up. Distance and ideal duration: 516 miles, 5-7 days. Did you know? This area of the UK is one of the best places outside of Scandinavia to see the Northern Lights.